This is from a French magazine, Saveurs. A bit different from the normal hummus with great colour! 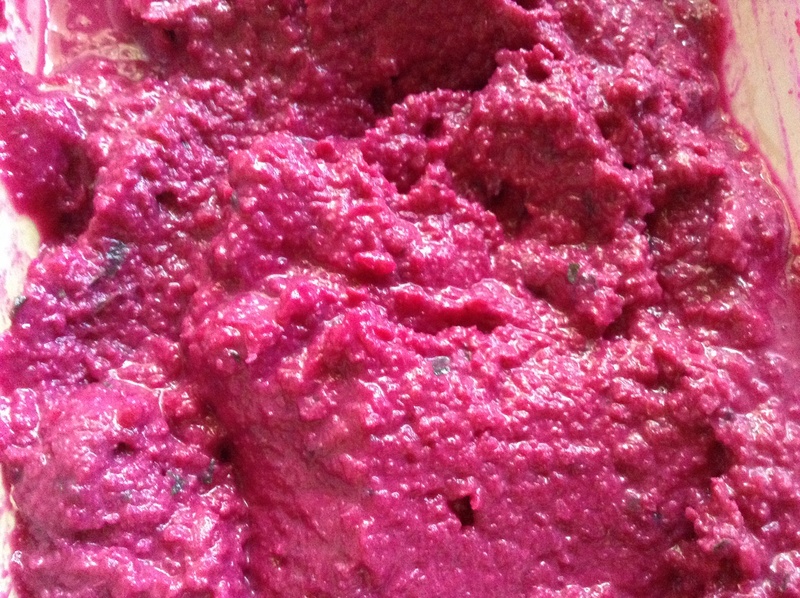 Blend chickpeas, beetroot , garlic and lemon juice until smooth. Add sesame oil, tahini and lemon zest. Season with salt and pepper. Keep refrigerated until serving time, then add finely chopped mint and dill. I have been eating this on bread and as a side with salads.